Dardo – A dirge, a lament, or love song (also tarto, derdo, terto, tarten, or trto – spelled in various ways in Armenian). The term dardo first entered our dialectical lexicon as a variation of the Turkish word dard, which means sorrow, mental/spiritual distress, or anxiety. “The Armenian spirit is intimately acquainted with the sorrow that flows from it. By their nature, most dardos were expressions of romantic despair. But any painful event could be styled and weaved into a dardo,” writes Bedros Alahaidoyan . The solo dardo, as a musical genre, probably originated in Van, and thereafter spread to other areas. The Van dardo has a very clear, characteristic construction, consisting of four consecutive sounds that drop via various undulations – all typical traits of a lament. 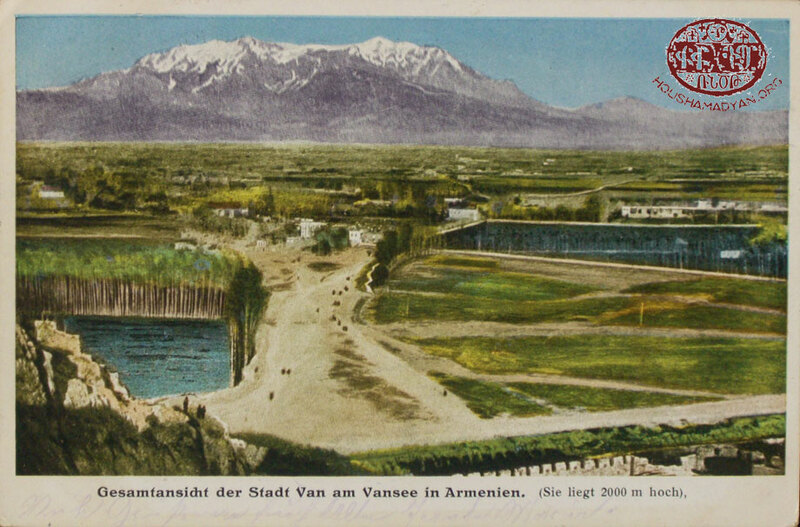 In accordance with the wishes of Bedros H. Alahaidoyan, while the songs presented in this article do not all have their origins in Van, they have all been posted on this page, which is devoted to geographic area of Van. 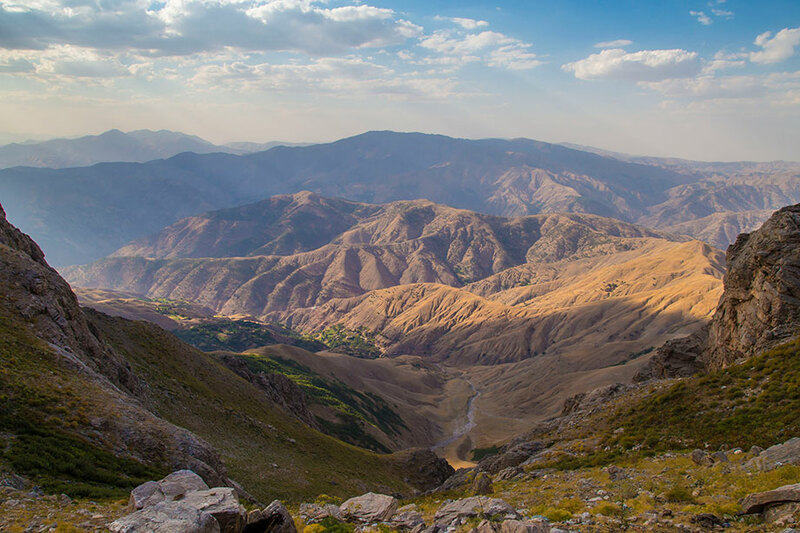 The dardos crafted outside of Van were simply variations of the same genre, rather than a separate genre in and of themselves. Aside from dardos that are pure laments, it is not always clear what the singer of each song is lamenting or mourning. Sometimes it isn’t even clear that the singers are lamenting, as opposed to simply praising the objects of their love. One thing is clear – these songs are often of a romantic nature, and the term dardo itself seems to have become personified. Singers often address dardo when mourning, or the objects of their love. In many cases, it is as if the term dardo is a proper noun, or that it is synonymous with the expression “my dear.” The only dardo provided here that has a clear object to whom it is dedicated is dardo number 4. According to Maro Nalbandian, this sorrowful love song commemorates the martyrdom of Fedayee Tkhgo, who was killed in a clash with Kurdish fighters. Articles on dardos have appeared in two books on folk songs written by Bedros Alahaidodyan. The aim of this article is to bring together the information provided in those two articles, and also to provide additional information from additional sources, all from Alahaidoyan’s own archives. Thus, dardos number 1 and number 2 appear in Bedros H. Alahaidoyan’s Van-Vasbouragani Azkakragan Pnorosh Yerkayin Nmoushner [Collection of Folk Songs Native to Van-Vasbouragan] (2015). Recordings of these songs appear on the second compact disc accompanying the volume, as songs number 14 and 15, respectively. 1) Bedros H. Alahaidoyan, Van-Vasbouragani Azkakragan Pnorosh Yerkayin Nmoushner [Collection of Folk Songs Native to Van-Vasbouragan], Chirak Printing-Publishing, Beirut, 2015, 192 pages. 2) Bedros H. Alahaidoyan, Paloui (yev Daradzashrchani) Yerajshdagan Azkakragan Havakadzo [Collection of Folk Music from Palou (and Environs)], Published by Trazarg, Glendale, California 2009, 448 pages. However, dardo number 3, which is sung by Armen Sosigian, a relative of Nshan Sosigian’s, does not appear in the aforementioned volume. Although this is the same song as dardo number 2, there are unique differences between the two interpretations. Dardos number 4 and 5 can be found in Alahaidoyan’s Paloui (yev Daradzashrchani) Yerajshdagan Azkakragan Havakadzo [Collection of Folk Music from Palou (and Environs)] (2009). The recordings of the songs appear on the first compact disc accompanying the book, as songs number 28 and 29, respectively. Dardos number 6 and 7 are only mentioned in passing in the Palou volume, but recordings of these songs do not appear on the accompanying compact discs. 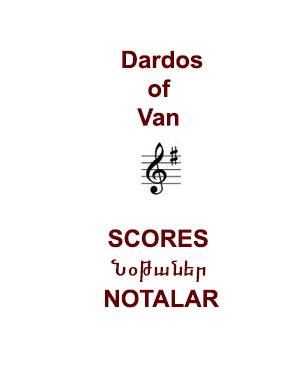 This collection also introduces dardos number 3, 6, 7, and 11, all from Alahaidoyan’s archives, alongside their recordings; as well as dardos number 8, 9, and 10, which appear as scores, but for which recordings are not available. To conclude, this article is an attempt to collect and present in one location sounds, traditions, and history that have been scattered and have appeared in various sources. Dardos that are known to have originated in Van are presented alongside dardos from other regions. The similarities and differences between these compositions are a testament to how these songs were born out of the people’s innocent spirit; how the genre traveled from region to region and was passed down from one generation to the next; how it underwent countless changes over time; and how some of the songs had the fortune to have long lives, while others were abandoned and hopelessly faded away without a trace. Bedros H. Alahaidoyan, Van-Vasbouragani Azkakragan Pnorosh Yerkayin Nmoushner, Chirak Printing-Publishing, Beirut, 2015. Maro Nalbandian was born in Aleppo, Syria, to a family that hailed from Palou. She probably learned the old songs from Palou that she sang from other members of her family, as well as other compatriots, particularly elderly compatriots. No recording available, only the song’s score. 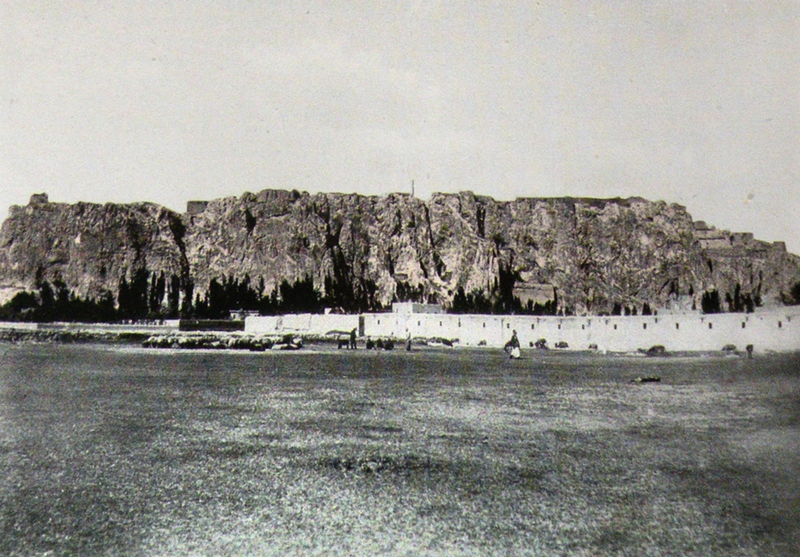 In 1969, the population of Talin consisted primarily of survivors of the Armenian Genocide who had immigrated from the cities of Sassoun and Moush in 1915. These two dardos appeared in a songbook of songs from Talin, published in Yerevan by the Soviet Writer publishing house in 1984. Mount Maratoug. Photo Credit Behçet Çiftçi, Sasun, Batman. 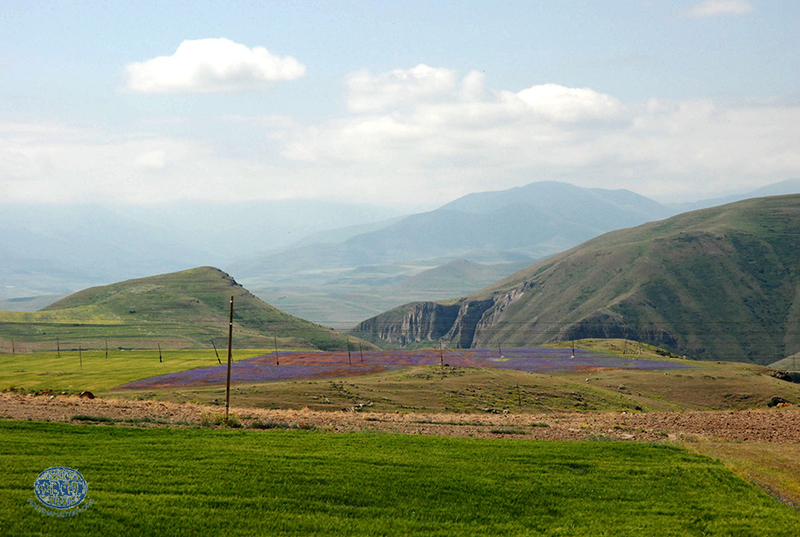 The Dzovasar Mountains, between the Shadakh and Dalvorig regions of Sasoun. Photo Credit Behçet Çiftçi, Sasun, Batman. Taghis denim, pal dou djrakhsoun, dardo. Et dnaver Pezon savtits dzour i…. 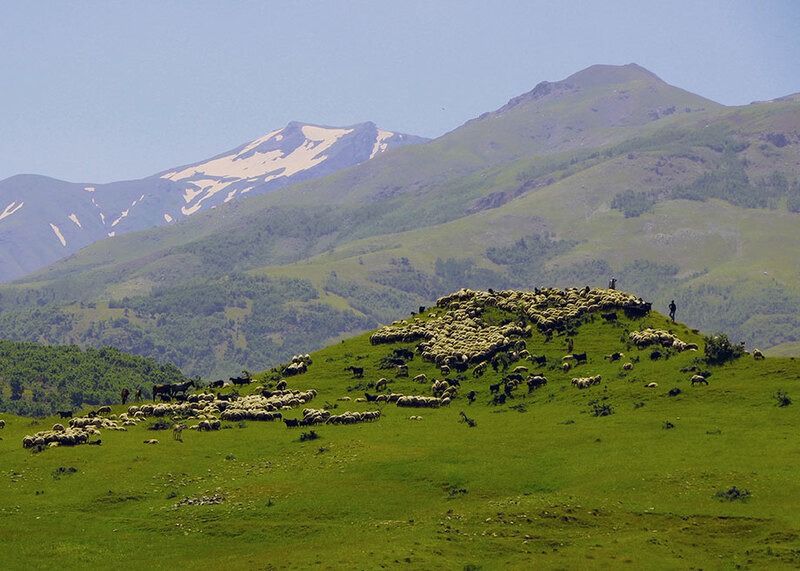 Karabakh/Artsakh. Photo Credit Silvina Der-Meguerditchian. Houshamadyan’s presentation of the Bedros Alahaidoyan collection was made possible thanks to the underwriting of Dr. and Mrs. Haig and Hilda Manjigian and the KOHAR Ensemble.